Adoption can throw some pretty wild kinks in anyone's hopes of productivity or precise planning, and the paperwork is enough to drive even myself a bit crazy (not to mention the adoption grant application paperwork). I cannot even tell you how much this cloud storage system has changed my life. 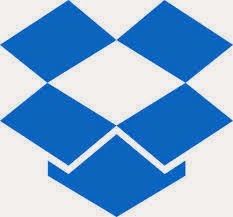 You can get a Dropbox account for free and install it on your mobile device and a couple of different computers. Then, if you have a document you'd like to have access to on a different computer or in a mobile device, you simply save it in your Dropbox folder and you will have access to it anywhere. It will automatically update saved files in that folder to the newest version on every computer or device on which its installed, and it even allows you to have access to those files from any computer that is connected to the internet when you go to the Dropbox website. I LOVE the fact that it automatically updates your files to the newest versions everywhere. I used to have to save files on a thumb drive from school, take it home, work on it, save it again, then take it back to school and physically re-save the latest version of the document onto my computer. This technique left me with ALL sorts of versions of documents left on my computers, making it hard for me to find the most recent one. My other "tech-savvy" method was to email myself my latest document version if I thought I'd need it in another location. This technique left me with about 55 new emails in my box every day--63 of which were my own. Dropbox takes all of that labor (and the forethought of taking home the thumb drive or emailing) out of the confusing equation, leaving you with a SIMPLE and easy process. Having Genius Scan installed on your phone is like having a tiny portable scanner in your pocket. In fact, it's even easier to use than a scanner, in my opinion, because it has email built in. Our Congolese dossier required tons of official documents like our passports, birth certificates, marriage certificates, physicals and pictures. Luckily, they didn't have to have the real thing; just a scan of those items would work. This is where Genius Scan is awesome. 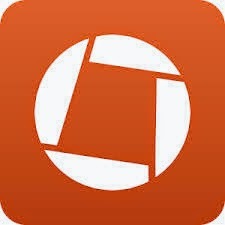 You use it like the camera of your phone to take a picture of the document you want to scan. Then you use little cropping tools to get the scan cropped to the size of the original document, save it in Genius Scan (the app digitizes the scan for you, and you can choose color or black and white), then you email or even send it to your Dropbox folder if you' like. This was SO HELPFUL because our agency often needed a specific document quickly or I didn't have the patience to wait to get home to scan a document we'd just gotten, so I'd just do it with my phone and send it in. Plus, it saved the documents in case they needed to be sent somewhere else (which was often the case, as documents are often needed for home studies as well as dossiers, which were handled by two different people). There you have it, two techy things that have changed my life for the better. Do you use these tools for something special? Do you use other tech-tools that you think I should be using? Please share! I'm always up for making something easy! !